Roughly €340,000 worth of property is stolen from Irish vehicles each year. An Garda Síochána has issued a warning on Tuesday evening following a spate of cars being burglarised in West Cork. 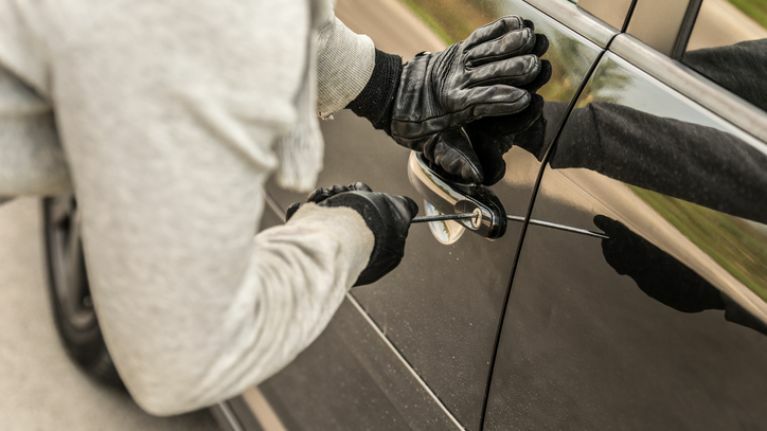 The region saw no fewer than 35 cars being broken into on Sunday, 3 February alone. The incidents occurred at housing estates in Clonakilty, Belgooly and Riverstick. Among the items stolen were cash, laptops, tools, sunglasses, jewellery and sports equipment. Data provided by Gardaí suggests that one-third of all vehicles that are broken into are unlocked. Speaking at Bandon Garda Station today, Superintendent Brendan Fogarty said: "I would ask that wherever you park your vehicle, that you always take your property with you and ensure the vehicle is locked, alarmed and parked in a secure, well-lit location. Over the weekend in Cork City we also had a number of theft from cars in Ballincollig, Douglas, and Togher." "But this is not just an issue for us in Cork. Criminals throughout the country are going around housing estates and trying every car door until they get one that is unlocked." Furthermore, anyone with any knowledge of the incidents in Cork is encouraged to come forward to any Garda station. Police are also looking to speak to anyone with a dash-cam who was driving through the region on Sunday.